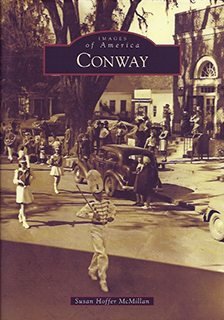 Conway was established 1732 as Kingston, the principle seat of Kingston Township, but was renamed in honor of a local politician Robert Conway, who distinguished himself and war service under the heroic "Swamp Fox," Francis Marion, following the American Revolution. Situated where Kingston Lake joins the Waccamaw River, Conway was originally isolated by wetlands and developed slowly, primarily supported by subsistence farmers in surrounding Horry County. Lacking a title Rivers of remaining coastal South Carolina, area residents harvested turpentine and timber, improved transportation via steamboats and trains, and cultivated tobacco and tourism as the 20th century spawned nearby Myrtle Beach. Today, Conway reveres it's 1825 Robert Mills Courthouse anchoring a picturesque downtown highlighted by moss-draped live oaks and a Main Street bridge beckoning visitors to frequent festivals, live theater, and a scenic river walk. Historian and author Susan Hoffer McMillan is a former tour guide for the City of Conway, where she had lived all her adult life. She pursues her passion for Conway's past through photographic images, paper ephemera and archaeology. 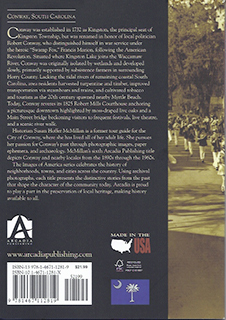 McMillan's sixth Arcadia publishing title depicts Conway and nearby locales from the 1890s through the 1960s. The Images of America series celebrates the history of neighborhoods, town, and cities across the country. Using archival photographs, each title presents the distinctive stories from the past that shape the character of the community today. Arcadia is proud to play a part in the preservation of local heritage, making history available to all. Myrtle Beach and the Grand Strand have become the world's playground. What began over a century ago as local beach retreats between Little River and Georgetown have changed so dramatically that their history is endangered. Wide beaches, warm surf, and abundant wildlife ignited a resort phenomenon that now offers world-class hotels, dining, shopping, entertainment, and recreation. 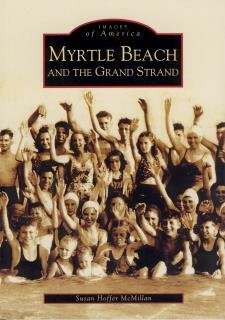 This volume retraces the area's progression from Myrtle Beach's humble beginning in 1901 through the middle years of the 20th century to beyond 1954, when Hurricane Hazel crushed the Grand Strand and determined owners rebuilt their resorts with strength and grandeur. Included among these 240 vintage images are scenes of early dance pavilions, favorite tourist venues, and quaint cottage hotels in old Myrtle Beach. There are yesteryear views of Murrells Inlet and the beaches of Surfside, Garden City, and Pawley's Island, and vintage photographs of Ocean Drive and Surrounding beaches in North Myrtle Beach. Susan Hoffer McMillan, author of two vintage postcard histories on coastal South Carolina, delves deeply into history of Myrtle Beach and the Grand Strand to share her fascination with its past through this unprecedented photograph collection. 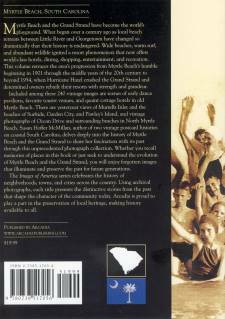 Whether you recall memories of places in this book or just seek to understand the evolution of Myrtle Beach and the Grand Strand, you will enjoy forgotten images that illuminate and preserve the past for future generations. 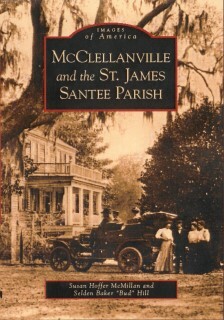 A Creekside village established in 1858 on land formally inhabited by Sewee Indians, McClellanville began as a summer resort for nearby planter families escaping malarial mosquitoes. It is now a fishing village with an artistic climate amid restored Victorian properties. The larger St. James Santee Parish retains historic rice plantations and other landmarks of Colonial America and the antebellum South. Both Parish and village are protected from coastal sprawl by the maritime forest and estuaries of Cape Romain National Wildlife Refuge, Francis Marion National Forest, and Santee Coastal Reserve. Inside this book are images of the villagers named McClellan, Morrison, Leland, Lofton, and Graham, as well as famous parishioners , Jonathan Lucas, Eiza Lucas Pinckney, Archibald Rutledge, David Doar, and Thomas Pinckney. Dupree house, the town's oldest residence, is shown, plus other historic village homes and churches, along with Fairfield Plantation, Hampton Plantation (now a state park), and other Parish plantations and sites. Susan Hoffer McMillan is the author of three Arcadia histories of coastal South Carolina and a part-time village resident. McClellanville's native son, Seldon Baker "Bud" Hill, founding director of the Village Museum and editor of its Origins newsletter, joins McMillan in creating this treasury for all who have lived in or visited McClellanville or St. James Santee Parish and for others interested in this distinctive part of the Lowcountry. The Images of America series celebrates the history of neighborhoods, towns, and cities across the country. Using archival photographs, each title presents the distinctive stories from the past that shaped the character of the community today. Arcadia is proud to play a part in the preservation of local heritage, making history available to all. Books are $21.99 each, plus $1.00 SC sales tax and shipping.